Walter Moberly | Amazing Lookalike! On the left is Walter Moberly, Professor in the Department of Theology and Religion at Durham University. 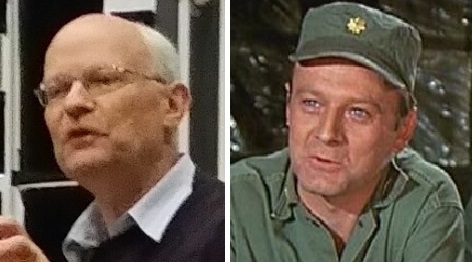 On the right is Major Frank Burns, a character on M*A*S*H played by Larry Linville.